MOSCOW (AP) — What was supposed to be a thrilling ride down a ski slope inside a giant inflatable ball ended in tragedy for the two Russian men inside. The transparent plastic ball — called a zorb — veered off course and sailed over a precipice in the rugged Caucasus Mountains of southern Russia. One man died and the other was badly injured. The terrifying ride was captured on video. But the zorb bounces off of the intended path, and a man waiting for it at the bottom of the hill tries in vain to catch the ball before it pops over a rocky ledge and disappears down a gorge below Mount Mussa-Achitara. 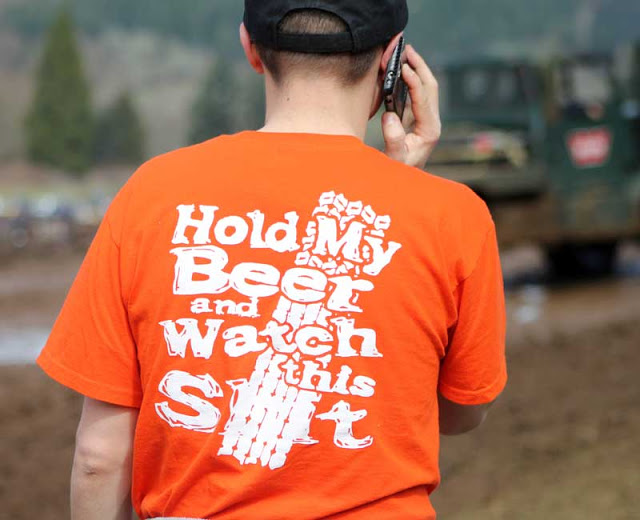 Authorities continue search for man holding beer. This entry was posted on January 9, 2013 at 7:06 am and is filed under Uncategorized. You can follow any responses to this entry through the RSS 2.0 feed. You can leave a response, or trackback from your own site.